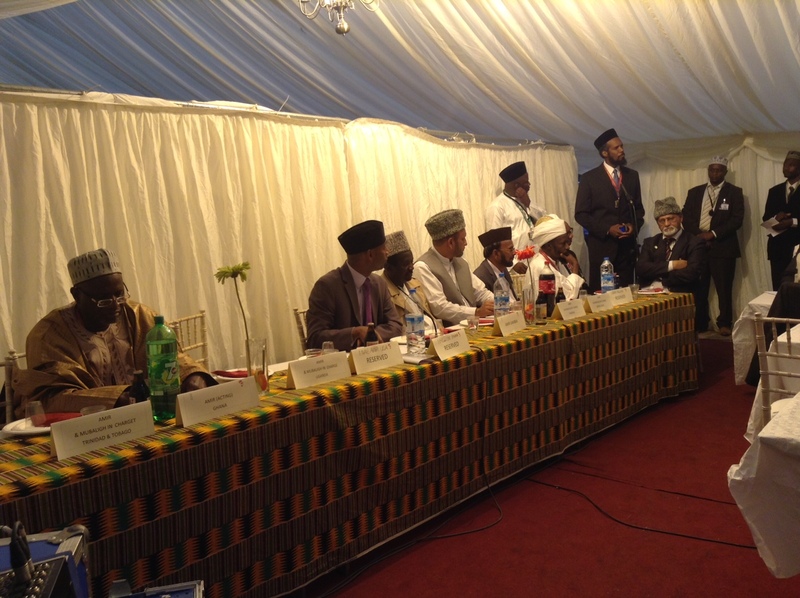 The Pan-African Ahmadiyya Muslim Association UK held a Pan-African Evening event at this year’s Jalsa Salana UK on Friday 29th August 2014. The event took place in the Tabligh marquee at Hadeeqatul Mahdi. 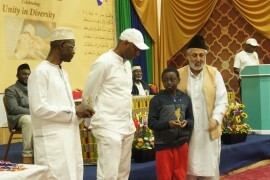 The function was attended by about 450 African-Americans, Africans across Europe and delegates from Africa including the Umara of various African countries and Naib Amir USA, Maulana Azhar Haneef Sahib. 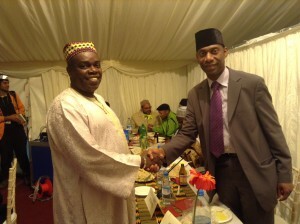 In attendance also were some non-Ahmadi guests including Rtd Major Albert Don-Chebie, Director General of Ghana TV, and Chief Femi Okutubo, Editor of the African Trumpet Newspaper, published in the UK. Many of the members of the Pan-African Association had to stand outside the marquee to listen to the proceedings due to the limited capacity of the marquee for the number of attendees at the event. In his Welcome Address, Tommy Kallon Sahib, the President of the Pan-African Association said that Hadhrat Khalifatuil Masih (aba) himself had instructed for the event to be held so as to bring together Ahmadis of African origin living across various parts of the world to share ideas, discuss matters of common interest and to seek out ways of collaborating together. Maulana Azhar Haneef Sahib, Naib Amir of USA also addressed the gathering using the example and true purpose of Hajj and how it brings together people of diverse backgrounds to explain the significance of the event which brought Ahmadis of diverse African backgrounds together. All the proceedings of the meeting, including Tilawat, Qaseedah and speeches were translated into French after the English rendering for the benefit of those from French speaking countries. 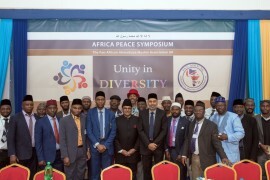 The event which was went a long way towards establishing affectionate ties of brotherhood and sisterhood among Ahmadi Muslims of African provenance around the world was, by and large, a highly successful event. 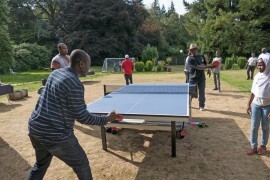 Please click here to view pictures from this historic event.